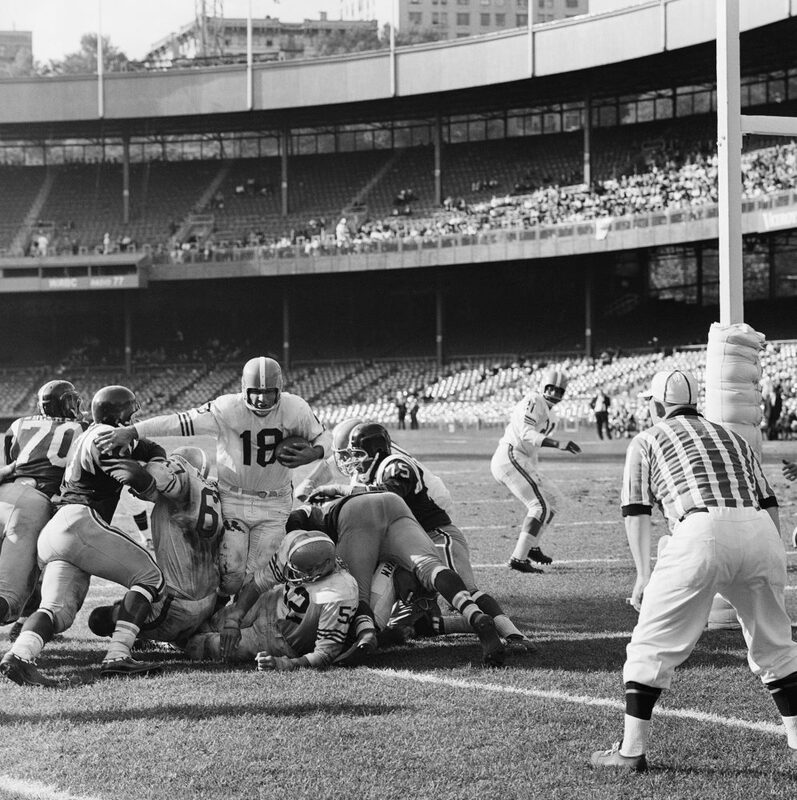 Denver Broncos Quarterback Frank Tripucka (18) drives through the New York Titan Line standing up to score on a 1-yard plunge in fourth quarter of American Football League game, Sep 30, 1962, New York. Denver line men are guarding Bob McCullough (67) and center Jim Carton (52). Identifiable Titans are tackle Gene Cockrell (70), extreme left, and tackle Proverb Jacobs (75), far right. Denver won, 32-10.